A study by Gartner predicted 25 billion interconnected devices will exist by 2020 - it is no surprise that IoT (Internet of Things) is no longer a mere buzzword but our future. IoT enable devices to collect data to derive useful information for better decision making. This can be as simple as our smartphone tracking the number of steps taken we take in a day or more complicated like measuring the real-time production rate in factories. The basis of IoT is the ability to transmit information through networks. From 5G to LPWA technologies, there is a abundance of choice when it comes to choosing the right technology in an urban environment. But what about remote areas where there is no cellular coverage? Can satellite connectivity be the answer to this? Satellite communication has been around for a long time. However, the question we should ask is whether satellite, with its classic function for cloud pattern monitoring or TV signals transmission, can be a part of IoT world? 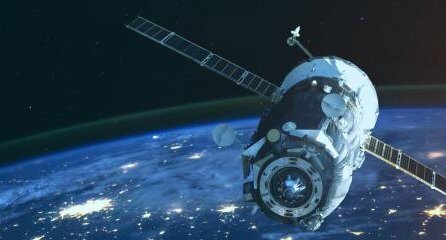 Northern Sky Research (NSR) estimates that the satellite’s part of IoT and machine-to-machine (M2M) will make a significant growth of more than 70% within a decade from $1.4 billion in 2014 to $2.4 billion in 2024. NSR also believes that the biggest contributors of this growth are agriculture, shipping, land transportation as well as government sectors. How does the use of satellite supports the activities of the above mentioned sectors? Most obviously, satellite is critical for business activities that extend to geographically remote locations and those which involve offshore platform such as mining and energy industries. This is because it enables real-time monitoring system and long distance communication. Hence, people do not need to be on-site to obtain data. With WTO forecasting that there will be 3.6% trade growth in 2017, the use of cargo vehicles, maritime vessels and trains will undoubtedly rise. Along with this trend, satellite communications will play a pivotal role in enabling innovative mobility services. Governments have come to realise the power of IoT and have started to implement it to improve the quality of their cities. Countries like Philippines is expected to have spent US$766.8 Million in 2020 for IoT, Phuket and Chiang Mai are set to be Thailand’s first smart cities, Indonesia government launched Smart City Vision Indonesia 2015-2045, and the Malaysian IoT market is on track to register US$10.5 billion by 2025. Achieving better energy efficiency and smarter resource allocation is an important part of smart cities and satellite communications is key when it comes to enabling smart grids to be extended to remote area where terrestrial networks could not reach it. Mobile banking is no longer foreign as close to 70% of millennials have used it to do their banking transactions. In order to ensure a smooth and secure process of wireless ATMs and mobile point-of-sales application around the world, satellite is a an important enhancement to terrestrial networks. From our conversation with partners in the region, we have also seen an increasing number of successful use cases in Southeast Asia for agriculture, flood monitoring, fleet tracking and disaster relief. In our upcoming activities in July and August, Inmarsat and AST will be sharing some of these use cases. If you would like to find out more about these discussions, do drop me a line at valencia@industry-platform.com.